I’m watching Mission: Impossible III, and did I just catch Matt Parkman of Heroes talking to Ethan Hunt at the beginning of the movie? 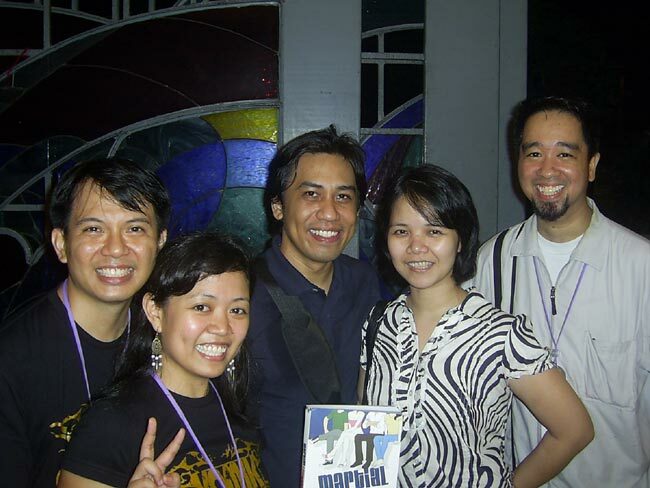 During Komikon Week, ASAPhil organized a simultaneous event as well, and invited me along with Jomike Tejido (Foldabots) and Manix Abrera (Kiko Machine) to tour in UP Diliman. Jomike’s Foldabots book (as seen in K-Zone!) 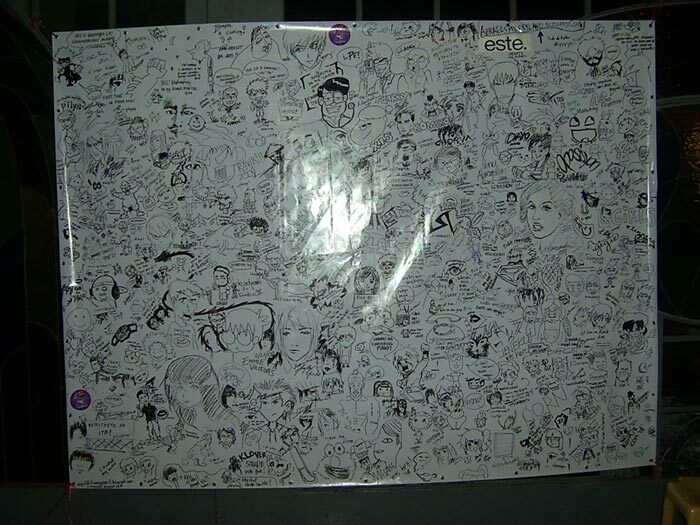 is being sold during the event, while I doled out flyers for Komikon Sunday. Thanks to Jan, Camille, Nene, Alie, and the rest of ASAPhil-UP Diliman for inviting me to their event. 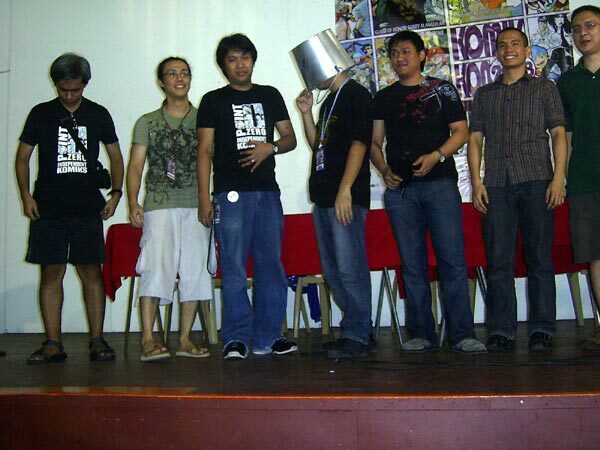 Komikon is over once more, and its been great as usual. The weather held up. *Miss Gilda Olvidado (creator, Sinasamba Kita) and the Kiko Redondo, the brother of Nestor Redondo, dropped by for a visit. He’s seen here with Ariel A. (Class). *Indie Komiks continue to improve, and this time, its the marketing. Creators are giving away copies of their work for free; some are experimenting with gift books and other formats. 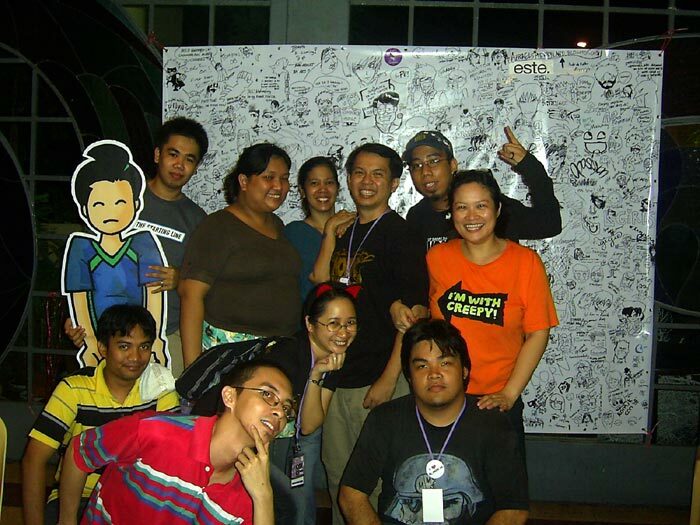 *Beerkadet Paulo bought the Boopey standee near the end of Komikon 08. I wrote instructions at the back on how to clean Boopey after he’s…finished with her. It’s not easy being a pimp. *A lot of the second-generation Beerkadets supported the event, such as Kai, GXMania, Tenkouken, Mark Pua, Mark Poa, ILenz, Oliver, and Naja. Special thanks to Jinky and Kevin, as well as Chompy’s mom and youngest brother, who all helped in the Artist’s Den booth. Jinky was selling her Chakka Dolls throughout the event. They reminded me of my own plans for a Mini-Mamaw toyline. * I spotted some three Rorschach cosplayers during the event. Aww, and I already bought my khaki trenchcoat. 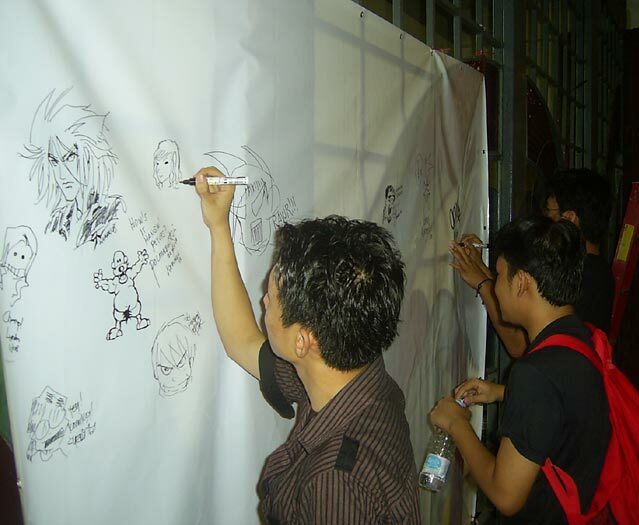 Thanks to everyone who attended, as well as to Komikon, Lunar Rock, and all the artists, writers, and creators for bringing another successful Komiks Convention to a close. Ah, yes. Greg Grunberg (Matt Parkman) was there in Misiion Impossible III (directed by JJ Abrams). Actually, I have noticed that he keeps on appearing in most movies/series directed/produced by JJ Abrams (he was also the pilot who got eaten by an unknown monster in the first season of Lost, and he was a regular character in Alias and Felicity). He must be close friend or something.